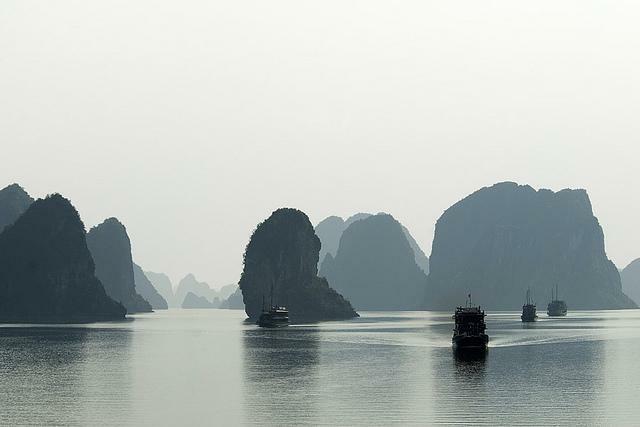 With a population of over eighty million, Vietnam is one of the most populated countries on the planet, with an area slightly less than the state of California. Farming and crude oil are its main products; it is one of the largest rice exporters world-wide. Most of its local people still live in small villages along the rivers and deltas. 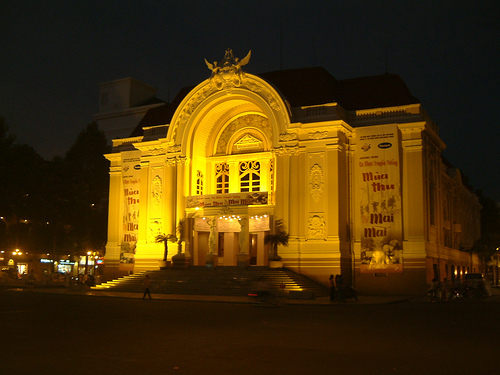 Vietnam is a melting pot of friendly, humble people, with nearly fifty ethnicities and languages. Famous for its monuments and architecture, such as the Citadel (the Forbidden City of emperors); which promised death to trespassers. The country’s heart of Buddhism, with the most monasteries and most famous monks. 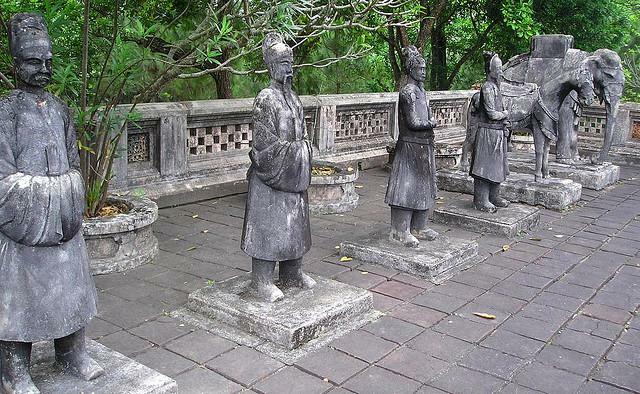 Ming Mang Tomb – You can travel by boat up the Perfume River to this serene location, a large estate with amazing shrines and temples. A sparsely populated, premier beach resort town popular with sunbathers and divers; now as popular as Phuket and Cancun. You can catch boat trips to the nearby islands. Po Ngar Cham Towers – at the end of Xom Bon Bridge; don’t miss this magical temple complex, nestled into a hilltop, with expansive views of bridges and fishing fleets. 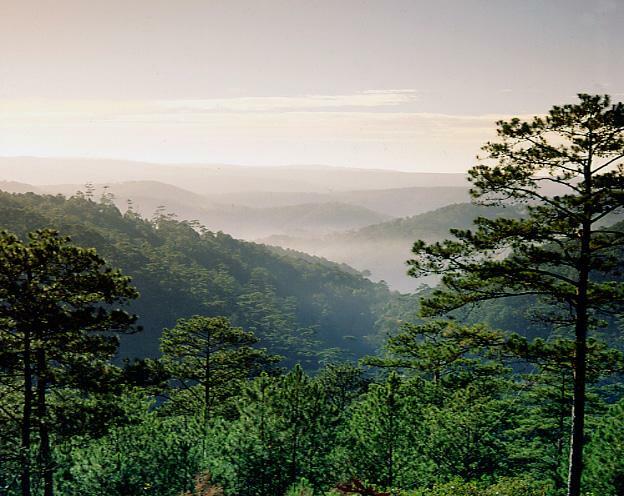 A popular southern location on the central highland plateau, its temperate climate draws many Vietnamese tourists who want to escape the heat of the lowlands. Visit Elephant Falls, with caves and waterfalls you can get actually walk behind them for awesome views (wear non-slip shoes and rain jacket). Truc Lam is a working monastery and shrine accessed by a 2.5 mile cable car ride. Phat Tire Ventures conduct top rated adventure tours including mountain biking, white water rafting and canyon exploration. The capital city is more regal with huge villas and landscaped streets, embassies and reasonably priced accommodations. Surrounding villages specialize in traditional handmade wares. 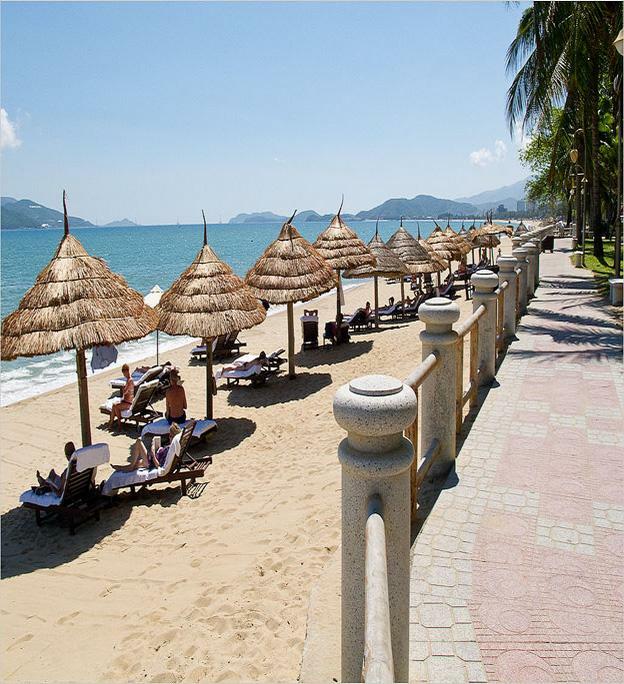 Gateway to popular Cat Ba Island, the largest island on the Lan Ha Bay, with its enchanting scenery and golden sands. A metropolitan city, with soaring skyscrapers, palaces, famous hotels, museums and a new trade center. Visit the Cu Chi Tunnels, an immense system of connecting tunnels; the base of operations for the Viet Cong during the Vietnam War. Serving as supply routes, hospitals, weapon caches and living quarters, these tunnels played one of the most important roles in American withdrawal. During heavy rains its river’s floating markets keep the riverside hamlets connected to necessary supplies and food. After the fall of Saigon in 1975, the Communists imposed a “centrally planned economic system,” with the government controlling the production and distribution of goods and services. This brought Vietnam’s place in the world market to a standstill for the next twenty years. When the Soviet Union fell and its aid ended, Vietnam’s leaders removed their army’s occupation of Laos and Cambodia; allowing the resurgence of a market economy which spurred the country’s current growth. William J Green the author of the “Vietnam travel guide – Everything you need to know” grew up in Asia and has travelled extensively from a very young age, as his father was a diplomat for a western country. Asia was his favourite destination and has now returned to Vietnam for a 6 months trip down the memory lane!! !